Military children face a variety of challenges including frequent moves and parental deployments. One benefit is there are a variety of scholarships available, both locally and nationally, to help defray the cost of college for military kids. Many deadlines are rapidly approaching, so hurry and get your applications in. The Scholarships for Military Children Program has an application deadline of Feb. 15. This scholarship is commonly referred to as the "Commissary Scholarship". This year, the Defense Commissary Agency will award a total of 500 scholarships in the amount of $2,000. The program is funded by those that produce and supply the products sold at the commissary. The program is administered by the Fisher House Foundation which underwrites the administration of the program. Visit militaryscholar.org/sfmc/ for more information on how to apply for a scholarship. The McChord Thrift Shop offers scholarships each year. Amounts and numbers of scholarships vary. You must have an Air Force connection and live in the local area to apply. For applications and requirements, visit: mcchordthriftshop.org. Applications must be postmarked or received at the McChord Thrift Shop by March 8. 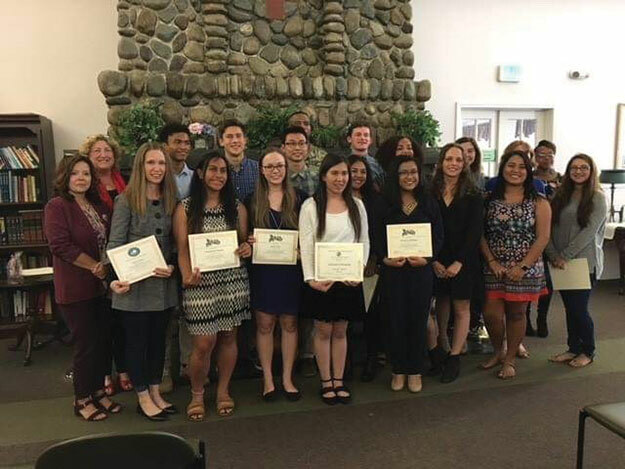 The Fort Lewis Military Family Member Scholarship Program offers scholarships to high school students, college students and Army spouses. You must have an Army affiliation and live in the local area. Scholarships are funded by the Lewis Thrift Shop, the Lewis Community Spouses' Club and other donors. Amounts vary every year, but in past years there have been scholarships as high as $15,000 for an Army spouse. Visit fortlewisscholarship.com for more information and applications. The deadline is March 15. High school seniors, whose parents are members of the Association of United States Army (AUSA) and affiliated with the Captain Meriwether Lewis Chapter, can apply for the Colonel Isabelle "Jo" Swartz Memorial Scholarship. According to Patty Morgan, Director of Family Programs, "For the past 10 years, the chapter has contributed to the Lewis Military Family Member Scholarship Program. This is the first year that we have offered the scholarship through our chapter." There is one scholarship for $1,000 and has a minimum GPA requirement of 2.5. Selection is based heavily on leadership and service to the community. For more information, visit: ausa.org/chapters/captain-meriwether-lewis-chapter. Deadline is March 15. In addition to these local scholarships, U.S. Veterans Magazine offers a comprehensive list of scholarships for military servicemembers, spouses and dependents. For the list, visit: usveteransmagazine.com/list-of-military-scholarships-for-service-members-spouses-and-dependents/. When applying for any scholarship, make sure you read all the requirements to verify you are eligible. Fill out the applications and gather all the required documentation. Most importantly, watch the deadlines. I know of one family who did not read the requirements that stated you must mail the application, and thought they could hand carry the application to their friend on the board after the deadline. Needless to say, the application was rejected. High school seniors should complete the application process on their own, but parents may want to review the packets prior to submitting. If your child hasn't already begun the process, they need to get busy as all of the applications for scholarships mentioned in this article are due in a month or less.